Sorry, folks. Spider-Man didn’t ride a horse, play with pandas, or take a nap next to the Great Wall. The posters for China’s release of Spider-Man: Homecoming are a hoax. 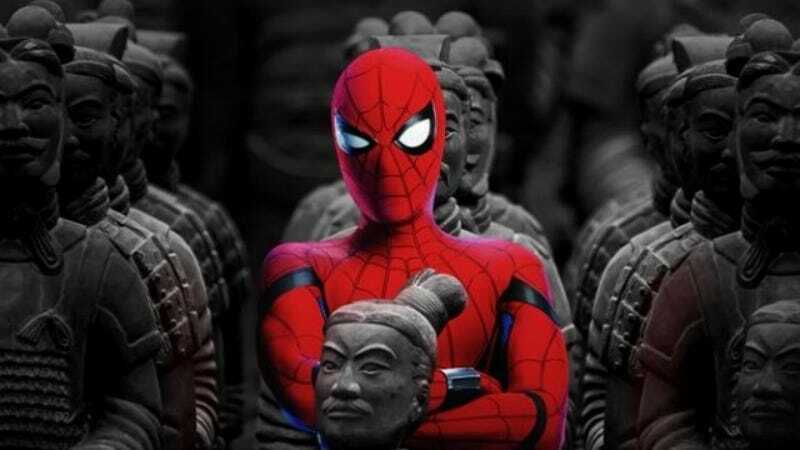 Several posters were making the rounds this week that put Spider-Man with some of China’s biggest tourist attractions, including hanging with the Terracotta Army and taking a selfie next to The Bund in Shanghai. The images surfaced on Reddit and later showed up on several news sites, but it wasn’t clear where they had come from. A few of them seem a little questionable—mostly the one where Spider-Man is sailing along a river in a bamboo hat—but the others seem to fit actor Tom Holland’s Spidey style. I don’t have a doubt in the world that his Peter Parker would totally cuddle with pandas at the first available opportunity. Spider-Man: Homecoming hits theaters in China September 8.